Therapist, Counselor or Social Worker? LPCC, LMFT or Social Worker? Recently a number of people have asked me about the different mental health professions and which they should go to see. Students in my Substance Abuse Counseling classes also ask me about which career they should pursue. It might be helpful to talk about where these professions came from, what they do and why you would choose to see or become one of these professionals. Many professionals in these fields are in recovery also and they often make excellent helpers. Here is a brief explanation of my point of view on the subject. Remember that I am licensed as both a Licensed Professional Clinical Counselor (LPCC) and a Licensed Marriage and Family Therapist (LMFT), have taken classes in the Psychology Doctorate program but am a long way from finishing that one and that these are just my opinions. The titles and what they are allowed to do depend on your jurisdiction. California was the last of the 50 United States of America (North America) to license Professional Clinical Counselors. Substance abuse counselors in California are registered or certified not licensed and in some states, there are no requirements other than getting hired to do the work. Educational requirements and licensing rules can vary widely and have changed over the years. These titles and what they may legally do vary from place to place. Check with your appropriate state or national agency to see what the regulations are in your location. Consumer protection agency can sometimes tell you what the rules are in your locality. Licenses, Job titles and Educational degrees are not the same things. Agencies hire people to work in a particular field. Not everyone who works in a social work agency has either an educational degree or a license in social work. Someone who processes welfare applications or inspects homes for child abuse or neglect may be called a social worker. Sometimes these workers have a degree in the field but not always. This depends on the rules of this agency. If you are looking for work and have not yet finished your education there are far more entry-level positions for doing social work than any other of the behavioral health professions. There are two-year degrees (AA or AS) in social work and Substance abuse counseling but not much else in the Mental Health field. There are also many social work bachelor degrees which qualify you to work in the field but not to be a clinical social worker. There is a large difference between a “social worker,” someone with a master’s degree in social work (MSW) and a Licensed Clinical Social Worker (LCSW.) To be an LCSW you would need to complete a master’s degree, complete a number of hours of supervised experience and pass a test. LCSW’s spend a lot more time working with clients and some specialize in therapy around certain issues, such as foster family and abused or neglected children. All of the licensed professions also have beginner categories of learners who are being trained and supervised by licensed people. So what are the primary types of behavior health specialists? They would be Social Workers, Marriage and Family Therapists, Clinical Counselors, psychologists, and Psychiatrists. Here is my oversimplified description of what each profession does. Let’s take a short look at a scenario that might show us how all these professions may interact with one family. Police are called to the home where a domestic disturbance is in progress. The adults are both drunk and they are fighting. The kids are scared and under the bed. Parents are out of work and about to be evicted. Mom has a history of depression. Both parents are yelling about wanting a divorce. So what does each profession do? They might be called to the scene. They will evaluate the home and maybe take the children into custody and place them in foster care. Once the parents are released from jail for the domestic violence charges the social worker might meet with the mother, get her in a battered woman’s shelter, arrange for both adults to attend substance abuse treatment and enroll them in domestic violence counseling. A Licensed Clinical Social Worker could be assigned to work with the children to see if they have PTSD and need treatment for the effects of living in a violent home. While an LCSW may do long-term therapy, they are specially trained in policy and referrals. They are likely to be running programs, deciding to leave the kids or take them and making referrals to long-term treatment. These professionals often have a short-term, two-year or less training in their specialty. They are limited to working on one problem only and most often they must work for a licensed agency or under the supervision of a licensed person. Parents may be required to complete a Substance abuse program and or Domestic Violence or anger management groups before the kids are returned to the home. Once the parents stop drinking and they have learned how to control their anger, or not get angry in the first place they may decide to try to get back together. MFT’s work from a systems approach which say that all humans have relationships and relationships are like dances. If one person changes the others may change and then the dance changes. So they would with couples or families on better communication and having a good relationship. They most often work with the couple or the whole family at once. If they work with one person it is most often about that client learning skills to improve their relationship. They might also have to tackle working with mom on how her depression or dad’s unemployment is affecting the kids and the family. All the Marriage and Family Therapist programs I know of are 45-60 unit masters degrees. MFT’s often have bachelor’s degrees in all sorts of things unrelated to therapy. They frequently have had some life experiences that pointed them in this direction. These counselors are specifically trained in mental health and problems solving. They might work with mom on changing her long-standing depression or they might work with dad on how to find a new job. Should the marriage counseling fail they might also work on meditation and working out custody arraignments. These three professions, LMFT, LCSW, and LPCC despite having differences in training may do very similar things. Beyond the basic degree or license, they are required to take continuing education classes each year. Some professional counselors or therapists specialize in a particular issue, some are generalists. If clients only had one problem we could all get really specialized but most people have multiple problems and so over time a counselor learns to work with clients on many issues. Psychiatrists are medical doctors with additional training in psychiatric medicines. Child Psychiatrists are even more specialized and unfortunately, there are never enough of these professionals. Because of the high demand for their services they are very busy. Most psychiatrists see clients for an initial “assessment” which is a medical assessment and very different from the counseling assessments we therapists do. After that first appointment, most psychiatrists will be seeing clients for a ten to fifteen-minute med check appointment every month or even every few months. They are looking for side effects of the medication and to see if they need to change meds or doses. 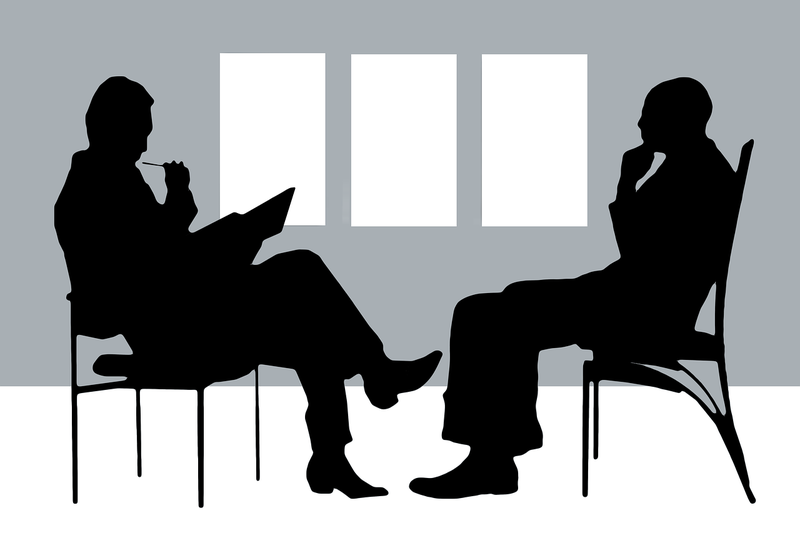 Psychiatrists generally do not have the time to spend talking with clients that are required for therapy. Most often they oversee the meds and refer the clients to see a counselor or therapist to work on the thought and behavior parts of the problem. In our example of the couple above, the Social worker, therapist or counselor might refer the mother to a psychiatrist if the depression was severe. Some clients are so affected by their disorder that they can’t benefit from therapy until they are on medication. Some conditions are the result of changes in the brain and that person may need medication for the rest of their life. Meds may stabilize them but they will often need counseling for other problems like relationships and careers. This is a doctor’s level degree. I completed 6 units in this program before deciding that I did not have time for another degree and license. What their training appears to be directed towards are long-term problems. They can spend a lot of time studying, testing and personality structure. Many psychologists work with clients over the long-term on problems that are slow to change. They are also likely to be called upon to do evaluations for court or disability insurance. In the example of the couple above the man might be court ordered to see a psychiatrist to determine if he should be allowed back around the family. The wife might be evaluated if she puts in for long-term disability saying she is so depressed or traumatized that she is unable to work. So there you have it, a brief oversimplified outline of what the larger professions in the mental health field do. Whether you are a client or an aspiring professional you need to pick the profession that will be a good fit for you. Licensed Professional Clinical Counselor (LPCC), Marriage and Family Therapists (LMFT), Social Workers, Psychiatrists and Psychologists which is the right fit for you? This entry was posted in Counseling and Therapy, Mental Health and tagged LCSW, Licensed Professional Clinical Counselor, Licensed Therapist & Licensed Counselor, lmft, LPCC, marriage and family therapists, mental health professions, Psychiatrists, Psychologists, Social Workers by David Joel Miller. Bookmark the permalink. I’ve heard about the lmft lpc market being oversaturated in California, with it being so competitive that it’s quite hard to land a full time, stable job at all, and oftentimes the pay isn’t so great. I’ve also heard that often lcsw’s are hired to provide the therapy more cheaply than other types of therapists. Is there any validity to this? I’m currently working on my undergraduate in Psychology and would love to work as an MA level counselor one day, but am disheartened by such opinions. I live near San Diego and am wondering if a salary of 60,000 a year after a few years’ work is a reasonable goal. This question needs a longer answer than I can give you right now but some quick thoughts and a recommendation that you talk with a number mental health professionals before you commit to this. Currently we estimate there are less than half the number of counselors and therapist that are needed under the affordable care law. There is no “over supply.” An individual agency or county may have more staff than they have revenue to pay but in other places there are unfilled jobs. To advance your career you may need to move or change jobs. Half the people who graduate will not work in the field. Many decide they do not want to do this all day. Lots of people become psychology majors trying to fix themselves or others they know. Psychology is largely about normal people and therapy is about helping people who are having difficulty functioning in a normal way. Psychology and therapy got a divorce about a hundred years ago. There are almost NO jobs you can get even with a master’s degree in psychology other than teaching psychology. To work as a licensed psychologist you need a PhD. Someone with a two year college degree can work as a substance abuse counselor and makes about what a bachelors in psychology will earn. If you have a master’s degree in counseling you can expect to earn about 50% more. If you get a license you will be making about double the starting person’s salary. Unfortunately this will not happen in a “few years.” A master’s degree in counseling takes 6 years of college. Then you need to do 3,000 supervised hours which will take two years or more. Then you will need to pass two separate tests to get licensed. Then over a number of years your salary will go up as you advance at an employer. Eventually you can make the 60,000 but it will not happen quickly. People who enter counseling need to be in it for the long haul not to make a good salary quickly. Your particular specialty, LCSW, LMFT, LPCC or Licensed Psychologist and the prestige of the school you attend will affect the amount you will earn as will your ability to do the job. Hope that gets you started on your career research. Most MSW programs allow students to choose a clinical or direct practice track, which focuses on direct practice with clients, or a macro practice track, with a focus on political advocacy, community organizing, policy analysis and/or human services management.HOWEVER, if you work for any of California’s 21 Regional Centers, you will not be a social worker who is advocating for human services or political advocacy. You will be a cubicle dwelling group think oriented person who is used by upper management program managers to work against the disabled people you serve. You will be asked to attend OAH hearing (office of administrative hearing) hearings funded by the Department of Developmental Services. You will ask to testify against families who are raising severely disabled children, teens and adults. You will lie. You will compromise yourself and your degree in so many ways that it becomes a joke, as if you never got the degree. You will be considered a “messenger” even though you are more than willing to advocate for your disabled vulnerable consumers, if you do, you might be suddenly “transferred” or demoted. If this happens to you, go to the news. Tell your story. It saddens me to think that sometimes professionals can be placed in the role of keeping people out of services to save money rather than trying to advocate for the people we are supposed to help. Thanks for the comment.